For the past few weeks, there have been increased transaction delays on the Bitcoin network, something which affects all Bitcoin providers and users all around the world. This article seeks to provide a means for bitcoin users to solve this delays and easy bitcoin transaction confirmation. When you send Bitcoin, the transaction may be instantly broadcast to the Bitcoin network, but will not immediately be confirmed. Most wallets, like Blockchain, Luno etc, require three blockchain confirmations before it will show up as completed, some may require up to six. These wallets doesn’t have full control over the speed that transactions get confirmed on the blockchain, neither does any other single company or entity. To have a full understanding of this, let’s take you back a bit to blockchain technology. Approximately every ten minutes, a new block is created and added to the blockchain through a process called mining. Each block verifies and records any new transactions (such as the Bitcoin you may be sending). These transactions are then confirmed by the Bitcoin network. For example, if Nico sends two Bitcoins to Solomon, this transaction will remain “unconfirmed” until the next block is created. Once the next block is created and the new transaction is verified and included in that block, the transaction will have one confirmation. Approximately every ten minutes thereafter, a new block is created and the transaction is reconfirmed by the Bitcoin network. Learn more or see how BBC’s Asia business correspondent, Karishma Vaswani simplified it. 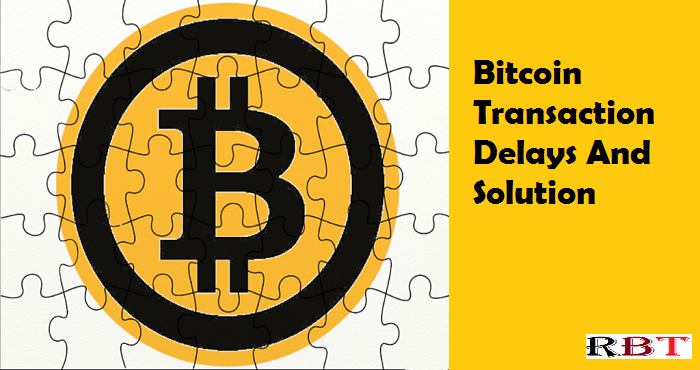 How Are Bitcoin Transaction Delays Caused? As mentioned above, blocks are usually confirmed at approximately one block every ten minutes. However, the Bitcoin network can currently only handle a finite amount of transactions per block. Each transaction has a certain size in bytes and each block can only contain a certain number of bytes. When a lot of transactions are being broadcasted –faster than what the network can currently process it– it creates a backlog of unconfirmed transactions. Backlogs happen occasionally, but the network eventually resolves all of the transactions within a day or so. Bitcoin is an evolving technology and there is a healthy debate over the so-called “block size debate”, which aims to address these problems. This means that in time (and with consensus), Bitcoin transaction speeds could very well improve in future. One of such solutions is using LUNO wallet. Luno, formerly BitX, was founded in early 2013 to bring the power of digital currency to the world. With the belief that decentralized digital currencies like Bitcoin will fundamentally change how the world views and uses money: cheaper, faster and safer transactions; more privacy and financial freedom; a significantly better user experience; and ultimately, more equality by giving everyone in the world access to the same financial system. Basically, the company makes it safe and easy to buy, store and learn about Bitcoin in Nigeria. So, if you use blockchain bitcoin wallet all this while, Luno bitcoin wallet may serve as a better alternative to addressing transaction delays. LUNO have a great option for customers who are sending to another Luno wallet. If you send to the recipient’s Luno-registered email address or phone number, the transaction will happen instantly. The other advantage is that no Bitcoin network fees will apply: LUNO will send the Bitcoin free of charge. Get started with LUNO here. Memory pool of bitcoin transactions gets bigger and bigger, which makes transactions time unpredictably long. For me, it’s not a big problem, but a couple days ago I needed to transfer some bitcoin and it got stuck for a three days, because the transaction amount was not calculated correctly by my Bitcoin wallet and I. In searching for the solution of my problem I found a service called SpeedyBit, which allows to make the chances of confirmations bigger with minimum efforts. Basically it is a form, where you put your bitcoin transaction id. SpeedyBit will prioritize your transaction to include in the next block they mine. They have about 15% of all hashing power from pools they work with, so you can expect what your transaction will be confirmed during the day. After my transaction id was submitted it was confirmed in 4 hours. Before that it was stuck for 3 days and who knows how much more it could take. Hopefully, it will help you as well.